Small volumes of anti-Col1a1 antibody vial(s) may occasionally become entrapped in the seal of the product vial during shipment and storage. If necessary, briefly centrifuge the vial on a tabletop centrifuge to dislodge any liquid in the container`s cap. Certain products may require to ship with dry ice and additional dry ice fee may apply. NCBI/Uniprot data below describe general gene information for Col1a1. It may not necessarily be applicable to this product. COL1A1: Type I collagen is a member of group I collagen (fibrillar forming collagen). Defects in COL1A1 are the cause of Caffey disease (CAFFD); also known as infantile cortical hyperostosis. Caffey disease is characterized by an infantile episode of massive subperiosteal new bone formation that typically involves the diaphyses of the long bones, mandible, and clavicles. The involved bones may also appear inflamed, with painful swelling and systemic fever often accompanying the illness. The bone changes usually begin before 5 months of age and resolve before 2 years of age. Defects in COL1A1 are a cause of Ehlers-Danlos syndrome type 1 (EDS1); also known as Ehlers-Danlos syndrome gravis. EDS is a connective tissue disorder characterized by hyperextensible skin, atrophic cutaneous scars due to tissue fragility and joint hyperlaxity. EDS1 is the severe form of classic Ehlers-Danlos syndrome. Defects in COL1A1 are the cause of Ehlers-Danlos syndrome type 7A (EDS7A); also known as autosomal dominant Ehlers-Danlos syndrome type VII. EDS is a connective tissue disorder characterized by hyperextensible skin, atrophic cutaneous scars due to tissue fragility and joint hyperlaxity. EDS7A is marked by bilateral congenital hip dislocation, hyperlaxity of the joints, and recurrent partial dislocations. Defects in COL1A1 are a cause of osteogenesis imperfecta type 1 (OI1). 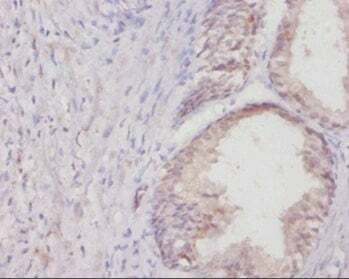 A dominantly inherited connective tissue disorder characterized by bone fragility and blue sclerae. Osteogenesis imperfecta type 1 is non-deforming with normal height or mild short stature, and no dentinogenesis imperfecta. Defects in COL1A1 are a cause of osteogenesis imperfecta type 2 (OI2); also known as osteogenesis imperfecta congenita. A connective tissue disorder characterized by bone fragility, with many perinatal fractures, severe bowing of long bones, undermineralization, and death in the perinatal period due to respiratory insufficiency. Defects in COL1A1 are a cause of osteogenesis imperfecta type 3 (OI3). A connective tissue disorder characterized by progressively deforming bones, very short stature, a triangular face, severe scoliosis, grayish sclera, and dentinogenesis imperfecta. Defects in COL1A1 are a cause of osteogenesis imperfecta type 4 (OI4); also known as osteogenesis imperfecta with normal sclerae. A connective tissue disorder characterized by moderately short stature, mild to moderate scoliosis, grayish or white sclera and dentinogenesis imperfecta. Genetic variations in COL1A1 are a cause of susceptibility to osteoporosis (OSTEOP); also known as involutional or senile osteoporosis or postmenopausal osteoporosis. Osteoporosis is characterized by reduced bone mass, disruption of bone microarchitecture without alteration in the composition of bone. Osteoporotic bones are more at risk of fracture. 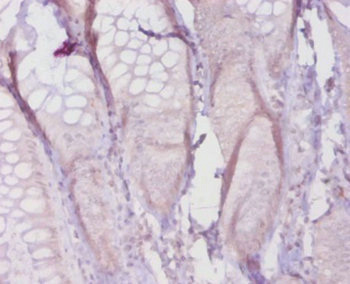 A chromosomal aberration involving COL1A1 is found in dermatofibrosarcoma protuberans. Translocation t(17;22)(q22;q13) with PDGF. Belongs to the fibrillar collagen family. 1. Flouride affected collagen I arrangement and produced ultrastructural changes in bone tissue. Meanwhile, the mRNA expression of COL1A1 and COL1A2 were reduced and the COL I protein levels decreased in the fluorosis group.